Looking for non-traditional hardwood floors? Hardwood flooring is a popular choice for many Indianapolis homes because of its long-lasting beauty. Today more and more people are turning to hardwood floors in non-traditional ways. They want to use hardwood floors in their kitchen or bathroom. Or they are looking at nontraditional, exotic hardwoods such as bamboo or cork. Read on to learn how Kermans can help you get a fabulous look and feel from a non-traditional hardwood floors. Like traditional hardwood floors, exotic hardwood floors have styles offering different widths, species, grain, and colors. Using exotic, non-traditional flooring such as Brazilian cherry, teak or tigerwood can give a home both the timeless feel of hardwood and the flash of something different that makes your home standout. Worried about the cost of these exotic hardwood floors? Talk to one of the design experts at Kermans who might recommend look-alike laminate floors that are a better fit for your budget. Another non-traditional hardwood floor that is more affordable and environmentally friendly is cork flooring. It comes in a variety of shades and textures. It is remarkably soft and durable. It also hypoallergenic which is a nice bonus for many homeowners. Learn more about cork flooring. You can achieve a non-traditional look from standard hardwood species by varying the planks. Stray away from the common two to three inch planks seen on many floors and look at wide planks. Five, eight, even ten inch planks are available in a variety of wood species and shades. Wider planks can lend a real old-world charm to your floor. You can even mix plank widths for a truly unique look. 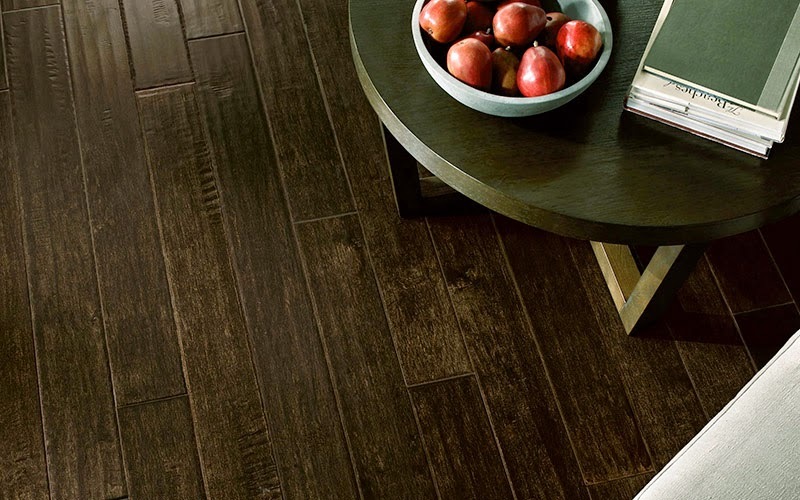 Get more hardwood floor design inspiration from our Houzz Hardwood Floor Inspiration book. For years homeowners have been told they cannot use hardwood in their kitchens or bathrooms because of moisture concerns. 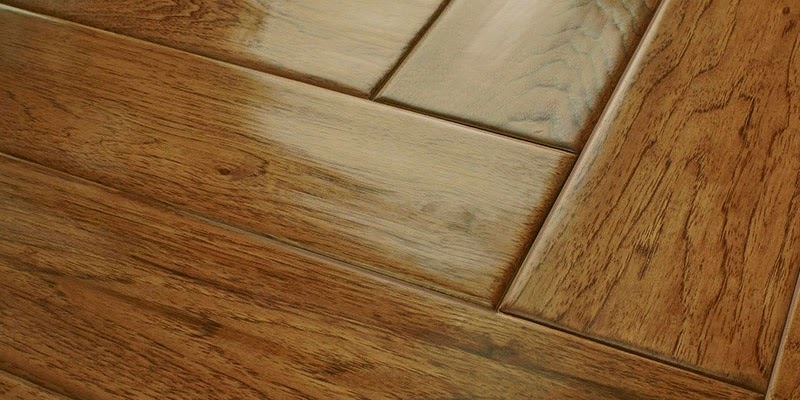 While it's still true that standing water is a hardwood floor's worst enemy, today's finishes and hardwood floor options make it possible to have the warmth of hardwood in any room of your house. Today there are so many different types of hardwood available in the Indianapolis market that homeowners have excellent choices for kitchens and bathrooms. Cork flooring (mentioned above) is one durable choice that is great for these rooms. Bamboo flooring is another choice that comes in a wide variety of looks and is more water resistant than traditional hardwood floors. The most important thing to consider when looking for hardwood floors - or any flooring - is your lifestyle. 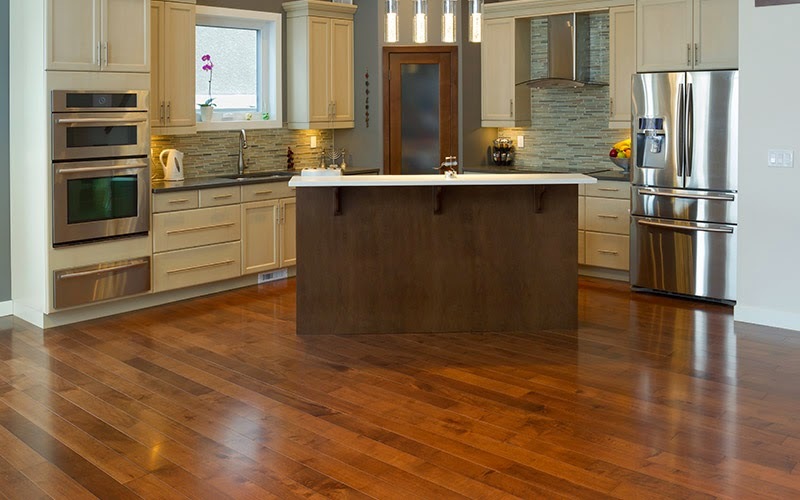 If you want the look of hardwood in your kitchen but have a messy family, you might want to consider laminate flooring that looks like hardwood but has easier maintenance needs. Learn more about the different types of hardwood available from Kermans Hardwood Store in Indianapolis. Hardwood flooring is a beautiful, long-lasting choice for your home. The design staff at Kermans can help you select the right type of hardwood floor for your home, lifestyle and budget. Stop by our showroom on the north side of Indy to experience the Kermans Advantage for yourself.